It is interesting to watch the dynamics of an ant’s nest and trail and observe the way they carry on their ‘business’ in high-speed and in an orderly way. In the same way I found it amazing to observe the people in Phnom Penh conduct their daily life’s routine as I joined Dr. Leonard and Mrs. Harms on our mission visit to Cambodia February 20-23. The noisy streets are crowded with people riding their bicycles, motorcycles, tricycles, tuk-tuks (motorcycles with a two-wheel cart attached with space for four people in normal circumstances), and cars. The city never seems to stop and the traffic is intense. Traffic lights are few, tuk-tuks, motorcycles and bicycles may emerge from almost any direction. There is a code of trust among the residents which guarantees their safety as they drive in the heavy traffic. The beep-beep of motorcycles as well as the honking of cars is loud and almost endless. Even with low income and living in poverty, people here seem happy and there is always a smile on their faces. 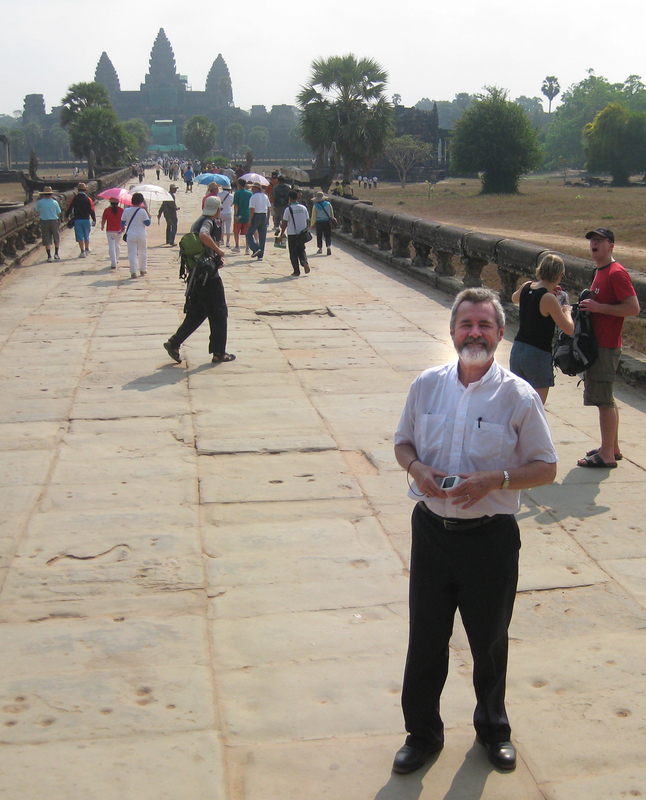 Dr. Neitzel learns more about Cambodian history by visiting the famous 12th century Buddhist Temple, Angkor Wat. Cambodia has 23 provinces, 14 million inhabitants of which one-third live in the capital, Phnom Penh. A considerable population of Chinese and Vietnamese live and work here as well. The official language is Khmer and the people love to speak English. The people live mostly in an informal or subsistence-level economy. However, the automotive, textile and electronics industry and commerce are booming. There are large universities in the capital and in some of the major cities. There are many marginalized children, living below the poverty level, begging on the streets and working at the city’s garbage dump trying to collect whatever is still valuable to sell or trade to provide for their meagre daily bread. Drug abuse and sexual promiscuity among the young people is high. The country is gradually recovering from the civil war and genocide carried out by its communist dictator and political leader Pol Pot and the Khmer political regime of the ‘70s. The marks of this leader’s atrocities are easily seen as one visits the Killing Fields and S-21 sites in the capital where millions of people perished in mass murders including thousands of children. 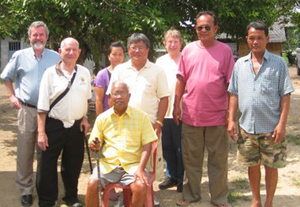 Lutheran Church–Canada (LCC) and affiliated agencies are assisting the Evangelical Lutheran Church of Cambodia (ELCC), founded in 2009, to develop its mission and social ministry in the country. LCC has assisted the national church with several mission and social ministry projects during past years. The Lutheran Women’s Missionary League-Canada (LWMLC), Concordia Lutheran Mission Society (CLMS) as well as individuals, congregations and others have been of great blessing to the church as they support the mission and social ministry projects of ELCC. LCC’s presence is carried out in cooperation with Luther Institute Southeast Asia (LISA) of which Dr. Harms serves as director. Dr. Harms and his wife Carol live in Bangkok and he is also LCC’s volunteer missionary responsible for our mission and education activity in this area. Nine deaconesses will graduate from LISA in May. They are serving in many provinces in Cambodia. A class of 29 pastoral candidates will complete their seminary training through LISA this May. Many are already serving the ELCC. The church comprises about 35 congregations and mission stations with 14 pastors working in different regions of the country. All of them are tent-maker pastors (dentists, fishermen, small business owners, etc). Some are just beginning to work with new congregations, and others shepherd several established congregations, Bible study groups and social work. All are involved regularly in mission outreach to their countrymen. Many congregations and mission stations are small, but the pastors’ commitment to the spreading of the Gospel is tremendous. The ELCC’s main office is located in a rented facility in the capital city from which it carries out its mission and ministry to the entire country. Rev. Vanarith Chhim, the current chairman (the title by which he is called here) has had meetings with his Board of Directors and is working on a strategic plan for the church body. Even before its founding, the ELCC was consulting with Dr. Harms on specific steps in the formation of the national church. It was established on the same Biblical, theological and confessional foundation as LCC. It is an autonomous church body in its administration and is looking forward to continuing its relationship with LCC in terms of mission and social ministry. A complete report of this visit will be presented to President Robert Bugbee for his evaluation. As it has been in the past, there are numerous opportunities to serve together in God’s mission in Cambodia: training of pastors, deaconesses and church leaders; the continuing education of pastors through LISA; the expansion of the projects in which both churches are already engaged; continuing the social work already started and the prospect of starting new ones; the children’s Christian education and others. We thank and praise the Lord for the opportunity to visit and meet with the leaders of the church in Cambodia, for their faithfulness and commitment to the work of the Lord. We pray that the Lord of the Church continue to open the doors for ELCC to reach out to the people of Cambodia with the Gospel of Jesus Christ, so that many more may come to the knowledge of the truth and salvation through Jesus Christ. The scholarships includes a backpack, two school uniforms, shoes, books, pencils and crayons. In addition to these public school requirements, the children participate in a daily half day education program at the church held during that period when the children are not in public school. Here they receive tutoring in math, science and Spanish from the deaconesses and teachers of the church. They also participate in a daily bible and catechism classes and finish out the day with recreational activities. After an explanation of the program to the parents, each scholarship recipient, as his/her name was called, came forward with their parents. The parents checked the materials in the backpack (to make sure that the uniforms fit) and then signed a contract in which they promised to support their child in his/her education and ensure the child’s participation in the tutoring program. It was interesting to note that some parents could not write their name on that contract and left a thumb print instead. Because of this program, you can be sure that their children will not have that disadvantage. Indeed there are some graduates of the program who are now attending university. There are about 700 children enrolled in the program throughout the Synod. The annual cost of the program is approximately $125 per child. 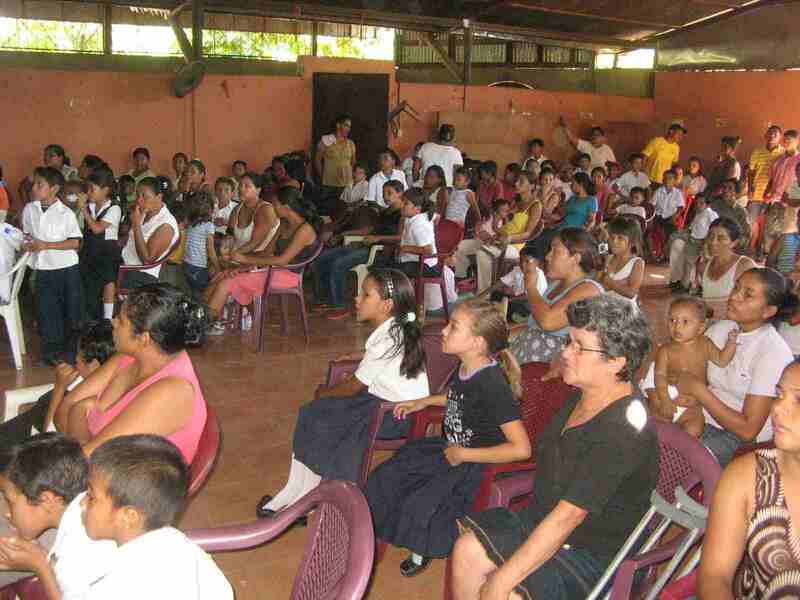 The Iglesia Luterana Sinodo de Nicaragua is grateful to Concordia Lutheran Mission Society and Canadian Lutheran World Relief for their on-going support of this program. Additional support is also received from the Christian Children’s Concern Society of Topeka, Kansas as well a number of individual Lutheran Church-Missouri Synod congregations. When visiting the communities and mission stations served by Pastors Suchat Srikakarn and Suchat Chujit in Takuapa and surroundings, I am impressed by the opportunities the Lord God opens for His people to witness to His salvation. Dr. Leonardo Neitzel and Dr. Leonard Harms (at left) visit with pastors and church leaders in Takuapa, Thailand. The first place we visited was the home of the chairman of a congregation in that area. He joyfully opened his home to us and showed us a piece of land by the highway next door to his home that he wants to donate to his congregation to build a church. It will take an estimated $ 8,000 to build the church. Would this project be of interest to congregations or individuals in LCC? We visited two more mission stations where the both the needs and mission opportunities are great. In each place about twenty people regularly gather for worship and Bible study. According to the pastors, these would certainly be well-served if they could be blessed with forty hymnals and forty Bibles in Thai, along with forty chairs and one fan. Martin Luther’s Small Catechism is also available in Thai and generously provided by the Lutheran Heritage Foundation. According to Pastor Sompong in Bangkok, Luther’s Catechism has great acceptance among people beyond our Lutheran circles. It has served to sow the seed of God’s Word in the homes of many who are coming to know Christ. We pray God’s blessings upon the mission and ministry of the pastors we joined for the weekend. We praise Him for the faithful work they are doing together with their congregations. We also pray that the Holy Spirit may continue to create faith in the hearts of people who are receiving and reading the Holy Scripture, Luther’s Catechism and we pray that other Lutheran resources may be made available and distributed by our brothers and sisters of the TCLC—Thai Concordia Lutheran Church. 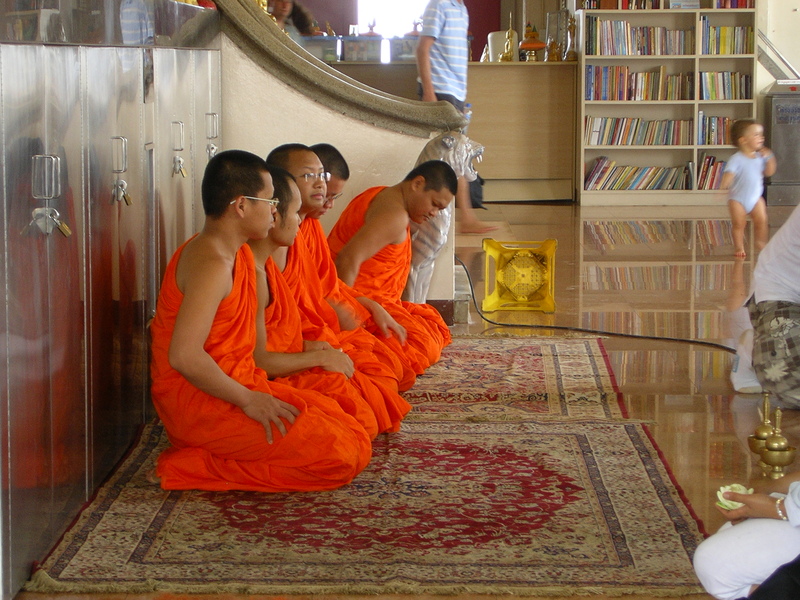 Thailand is a kingdom of the Buddhist faith and practice where the influence of Islam is growing. It is a country of diverse and fascinating landscape; of the richest rubber tree and rice plantation; of contrasts between poor and rich; of friendly, kind and very respectful people. Into this unique region, God has brought Lutheran Church–Canada to bear witness of His love through Jesus Christ as Savior for all people. Here is where we joined faithful Lutheran servants on our first day visiting the mission fields. We met Dr. Leonard Harms (and his wife Carol) LCC mission area volunteer and director of Lutheran Institute of Southeast Asia (LISA) in Bangkok. LISA prepares pastors, deaconesses and lay leaders for the work of God’s kingdom. We also met Joe and Ar, his beloved wife, who together with Robin, have dedicated their time and gifts in reaching out to others, becoming God’s bridge-builders for the Gospel of Jesus Christ in such a challenging world. Later we met Rev.Som Pong, pastor of the Concordia Into Light Church in Bangkok, who also assists Dr. Harms at LISA. He speaks fluent English and has been a blessing and of great help to LCC’s mission. As you interact with non-Christian Thais it seems their spiritual life is like living in a vacuum or nothingness, having no grasp of the salvation and blessed eternity of forgiveness, peace and joy which Jesus Christ has conquered for all people through His suffering, death and resurrection. Their faith-based life is shaped by the view that “each and every god helps a little bit in one or another way, should someone need help.” They believe that humans are perfect; they don’t know what sin is or whether it relates to their life. Based on your efforts at perfecting the law, whatever you do will be credited to you in some way. There is also the secular and materialistic side of this world where the advances of technology and communication have come to stay; where investors from other parts of the world invest and conduct profitable businesses; where you meet tourists from almost all parts of the world touring and spending vacation along the fascinating beaches; where nationals work in many kinds of activities (bars, groceries, taxi drivers, restaurants of may kinds) as a way of living. As the southern part of Thailand is rebuilding after the tsunami and seems thriving with a growing economy, our prayer is that the Lord will continue providing strength and give His people eyes wide open to see how to relate to the culture better and to serve here with the spiritual food people need most – the Bread of Life, Jesus Christ. May the Lord sustain His servants in LCC as well as His church in Thailand as He has called us His witnesses for Jesus sake. 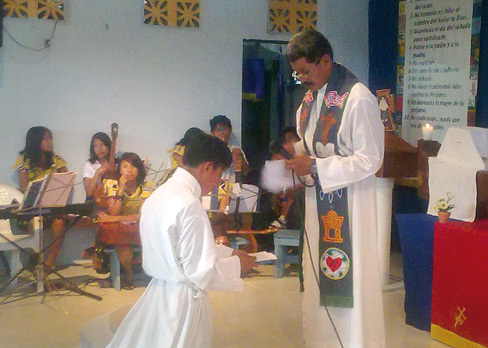 Iglesia Evangélica Luterana de Panamá (Evangelical Lutheran Church of Panama – IELPA) ordained and installed a pastor who graduated from Lutheran Reformation Theological Seminary, Nicaragua in March 2009. Demetrio Pérez was one of two pastoral ministry students from Panama and comes from the Kuna tribe, a native community in Panama. Rev. Jorge Villamil, who serves a Kuna congregation conducted the January 31 Service of Ordination and Installation. The new pastor will serve Bethel Mission at the Nueva Esperanza (New Hope) community in Panama. Although Pastor Pérez and fellow Panamanian Jose Angel Fernandez graduated from the theological education program last year, the IELPA delayed ordination and placement until congregations became available. Snr. Fernandez is still awaiting his ordination and first call. A deaconess, Yazmina Perez also graduated with the two pastors and is serving a congregation in the community of Balboa. The Panamanian students are the first from another Lutheran church body to receive their theological training in the Nicaragua seminary program. The church in Panama became aware of the program when The Lutheran Church–Missouri Synod seconded Rev. Pedro Quintero, a graduate from the first Nicaragua seminary class, to serve in the Panama mission. The three-year course operates under the guidance of Rev. Dr. Roger Humann and Concordia Lutheran Theological Seminary, St. Catharines, Ont. YORKTON, Sask. – Concordia Lutheran Mission Society (CLMS) held its annual meeting at Zion Lutheran Church, February 4-7, 2010. The long agenda included reports, planning, assessment of mission and social ministry projects of Lutheran Church-Canada (LCC), budgeting and deliberations on ways the society will pursue its 2010 fundraising goals as it supports the mission of LCC. The society adopted 19 LCC projects for 2010 totalling $129,000. The projects relate to LCC missions in Canada, Nicaragua, Costa Rica, Ukraine and Southeast Asia. Pastor Leonardo Neitzel, LCC assistant to the president for missions and social ministry attended the meeting and gave a presentation on his vision for LCC’s missions. He also shared information on LCC mission project proposals the society’s board was considering. CLMS board members attended the Sunday morning communion service at Zion. Later, a “Nicaragua Mission Festival Service” began at 3 p.m., attended by more than 120 worshippers, including pastors and members from other area congregations. LCC President Robert Bugbee was the preacher in the afternoon and based his message on Jonah 4:9-11 with the theme, You Know the Answer. He highlighted God’s mercy and compassion for those who do not know about His salvation. Immediately following his sermon, the president shared enthusiastically about LCC’s mission in Central America where he and Dr. Neitzel spent two weeks recently participating in the convention of Iglesia Luterana Sínodo de Nicaragua as well as visiting congregations and mission fields. CLMS designated new mission outreach projects in Costa Rica and Nicaragua as the recipients of the festival service offering. Prior to the afternoon service, CLMS introduced its new officers and gave a brief description of each approved project, the amount to be raised, and offered prayers on their behalf. All participants joined for dinner and fellowship kindly prepared by Zion Lutheran Church. CLMS is an auxiliary of Lutheran Church–Canada and since its foundation in 1997 has supported tremendously the mission and social ministry of our Synod. One of several goals of the society in 2010 is to increase the donor base supporting its projects. It was a real blessing to witness God’s faithful servants deeply involved with the mission of His Church, giving generously from their time, efforts and even personal material resources to assist LCC in its mission outreach around the world. As the people gathered at Zion for the Mission Festival sang the hymn Beautiful Saviour, we rejoiced and thanked Him for enabling His servants, members of Lutheran Church–Canada to carry His name and news of salvation to the ends of the earth so that at the very last day many may see Him face-to-face and sing in His presence forever in the everlasting Zion. May Jesus continue to bless the efforts of CLMS and may He continue to reveal Himself as the only Saviour and Lord of the nations. You are currently browsing the LCC On the Road blog archives for February, 2010.